I'm trying to remember where my school tuck shop was. The sprawling Sandfields Comprehensive School was divided into Lower, Middle and Upper sections of red brick buildings, each with their own assembly halls. I'm pretty sure it occupied a small room at the end of an L-shaped covered walkway behind the Lower School Hall, at the edge a kind of no-man's land yard that joined all three parts but didn't seem to belong to any particular one. Ah, the democracy of the comprehensive system! A system that still marshalled their identified high achievers into an unspoken grammar stream of 3 forms labelled X, Y and L and placed the kids at the other end of the academic spectrum into Form A! But I can't see beyond the Tuck Shop's split door, or was it a slide-open window? I can suggest a list of chocolate bars and packets of crisps from the late 1960s and early 1970s that might have nudged up against each other on the shelves but I have no memory of handing over money for a Milky Way (1935), or a Wagon Wheel (1948), or a packet of the still excitingly novel, (well, as novel as reconstituted potato gets), Cheese Quavers (1968). 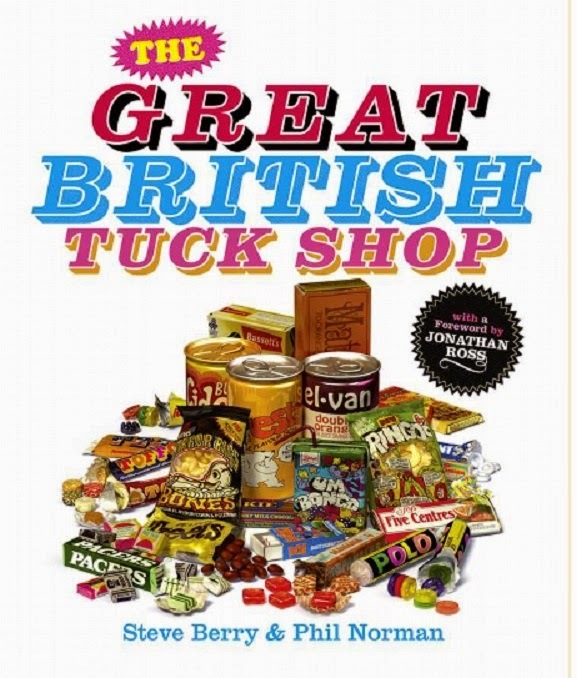 The (sometimes surprising) dates above are courtesy of Steve Berry's and Phil Norman's The Great British Tuck Shop, an encyclopaedic and entertaining memory-stirring read through all things sweet and savoury from a time when we didn't even know how to spell obesity and diabetes (type 2). Maybe I did buy one or two things at the school tuck shop but my strongest memory of sweet buying is closer to home, from a little flat-roofed shop at the end of Aberafan Beach's promenade, a street away from our house. Recite with me now: Black Jacks, Fruit Salads, Rainbow Drops, White Mice, Pink Shrimp, Flying Saucers, Bazooka Joes. Sweets we chose in straight and mixed pairs, triplets and quartets, according to the amount of solidly reliable brass pennies in our pockets that we could spread them across. Pennies that betrayed us after 1971 with the decimalisation of the UK's currency when, overnight, 2.4 old pennies was now only worth 1 new one and the Black Jack count fell simultaneously. Reading The Great British Tuck Shop on a beach in South Florida has probably been a cause for consternation amongst adjacent non-British holidaymakers. 'Aztec!' I've yelped. Or, 'Caramac!' And, 'Curly Wurly!' Or, perhaps even more worryingly, 'Oh, Raspberry Ruffles,' with a long and satisfying sigh. Because when I say, 'Raspberry Ruffles', a whole other world rushes back to me: the worn, red velvet seats of an old cinema, the scent of perfume and cigarette smoke from the usherette as she saunters back up the aisle with her tray of ice-creams, and the light from a suddenly curtain free screen that makes my eyes ache. And then there are the people who embody my chocolate memories. My husband, Tony, is Fry's Turkish Delight (1908). My mother goes with Bournville Chocolate (1908). For my older sister there's Cadbury's Fruit and Nut (1926). 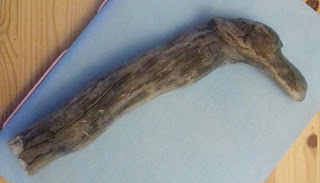 My younger brother, the aforementioned laces of stiff toffee dipped in chocolate, a Curly Wurly (1970). Me? I'm a packet of Munchies (1957). Or maybe, Rolos (1937). But what about my father? There's nothing that comes to mind. Did he like the Toffee Pennies in a Christmas tin of Quality Street (1936)? Or a sophisticated After Eight (1962)? Did Mam put a Jacob's Club (1932) - If you like a lot of chocolate on your biscuit join our club! - in his box, along with his sandwiches, when he went to work? It suddenly feels important to find out. Write about someone who reminds you of chocolate. I'm Cadbury's Rum and Butter. Any date there? I've been looking into this, Norman. It's not mentioned in the book so it might not have been released in the UK. I did find online mentions of it in Ireland & Canada though - you lucky dabs! We did get 'Old Jamaica' though - rum and raisins, which seems to have been a marketing ploy aimed at adults... didn't work for me though... but I was still pretty happy with fingers of fudge at that time! So pleased I remembered your Curly Wurly love correctly! Lynne, I'm not much a candy eater; but I love to buy British biscuits of various sorts at my local British imports shop. Ah, biscuits. That's a word I've learned to use judiciously when I'm in the US... My favourite British biscuits: Bourbons.